I decided to play one hour of 21 games over 12 days, and write a 200-word review based on my initial impressions. Each post had three games, was posted while those games were free through Amazon Prime (with one exception), and alternated with a different article every other day. I also edited together a thumbnail composed of three screenshots from the game (or art when I could take screenshots), with additional screenshots heading each review. I also maintained a list ranking each game from best to worst, in my opinion. This was, of course, during an even larger-scale challenge that I and many other TAYers were part of, “SixTAY Days of Writing,” in which we all write and publish one article for 60 days straight. This meant that I was already tired from 35 days of writing, and didn’t get any days to rest. Each of the six articles I wrote between my reviews took anywhere from three to six hours for me to put together, with one of those being a review of Call of Duty: Black Ops III, hence the (+1) in the title. Each review took me roughly two hours per game: one to play, one to write and edit, making every post for “ThePickyGamer Reviews Free Twitch Prime Games” (or “TPG Reviews TPG” for short) take a minimum of six hours to put together. And this was going on while I was getting my temps for driving and applying for multiple jobs. That’s a lot of time, but I did my best to manage it. When I had the whole day free, I would get ahead, writing one non- “TPG Reviews TPG” article and one or two reviews as well. I eventually got caught up to the point where I had to wait for the next game to be released, but this was very late in the process. Once I figured out how to actually play the games, which was so time-intensive that I wrote a whole article on it, I had to make sure I managed my time well in each game, since I only had an hour to get an informed opinion. This often meant that I would adjust the difficulty to the lowest setting, would use a guide if I got stuck for more than a few minutes, or rush character creation screens. Especially when I was playing an action-oriented game with the controller, it was tough to take screenshots, as I had to reach both the windows and “PrtScr” key, which are just about as far apart as possible. There were many times when I found a shot so good that I dropped the controller, took a screenshot with the keyboard, and was dead by the time I picked the controller back up. I think there actually might be a way to take screenshots with the controller, but I didn’t poke around to figure it out. There were also some games when screenshots wouldn’t work, unbeknownst to me until after I was done. In these cases, I went onto the game’s official website and grabbed some screenshots intended for the press. For example, the screenshots from The Framed Collection are slightly different than what I played because the screenshots were from the Switch version. Then came to writing the actual articles, which I tried to do immediately after playing the game. In the cases when I wasn’t able to do this, my recollections about the game were a lot fuzzier, and it took much longer to write the review. As I had to contain everything within 200 words, I often had to trim a lot of the fat off of anything I wrote, although I did have to stretch it out for a few of the simpler games. After that, I went into Google Slides and cropped the screenshots to each take up a third of the screen, then took a screenshot of that image, and posted it as the article’s thumbnail. I then copied and pasted the article from Google Docs to Kinja, and hit the “publish” button. Overall, these seven articles contained 21 reviews, 42 screenshots, took 42 hours, and had 4,200 words, not counting intros, conclusions, and lists. It was a lot of work, and while I probably should have only done one or two articles per post, I’m so happy I did it. 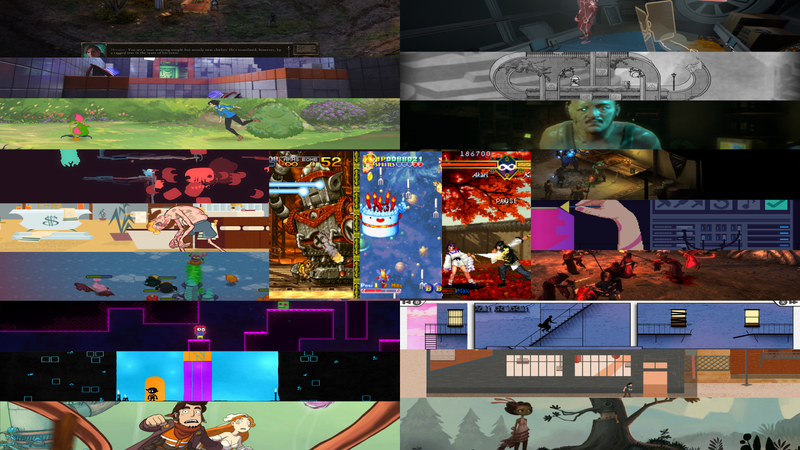 As I said at the start, it was such a great exercise for me to review so many games in rapid succession, and I got introduced to some great games I probably never would have found if I wasn’t writing about them. Please read my reviews. I worked hard on them.